0MB RIMM Filler. CRIMM, TSRIMM. 70329, Y0307 QC:B0. New. 239886-004 256MB, 133MHz SDRAM DIMM Memory. Compaq 237122-004, 256 MB 2100 DDR 266 MHz. Crucial BP112D6.ZC. Desktop Memory. Refurbished. Crucial MT16VDDT12864AY 1GB Memory. ECS E186014 94V-0 Double Sided Memory. New. Elpida 128MB MC-4R128FKE8D-845 PC800MHz Rambus Memory HP 1818-6172 8MB DRAM Memory Module. Refurbished. HP 5065-1281 Rambus Rimm. Termination Module. HP Samsung KMM5324004ASW-6 16MB RAM. Refurbished. Hynix 1GB 2Rx8 PC2-5300E-555-12. Refurbished. Hynix 1Rx8 PC2-5300U-555-12. 512MB Memory. Refurbished. Hynix HYMP125U64CP8-S6 AB. Working Pull. Hyundai HYM7V65400 DTFG-10S AA. 32MB. PC100-322-620. 9914. IBM 05H0910 8MB SIMM 72-Pin Parity 2Mx36. Refurbished. IBM 33L3074 128MB Memory. IBM 33L3095 128MB ECC Rambus Memory. Refurbished. IBM 42H2786 8MB Memory Parity 72 PIN SIMM 60NS. Refurbished. IBM 92G7521 8MB Memory. Refurbished. Infineon HYS64T64000HU-3.7-A 512MB. Refurbished. Kingston 1GB DDR2 PC2-5300 667MHz Desktop Memory. Kingston Samsung 128MB Rambus Memory. PC600. Desktop. Micron 140133-001 128MB SDRAM SYNCH 133MHz. Micron 3203497 128MB 133MHz Memory. Micron MT18HTF12872AY-667D4 1GB Desktop Memory. Micron MT4LSDT464AG-10CB2 32MB PC100 4x16 SDRAM DIMM. Micron MT8LSDT1664AG-13381 128MB SYNCH 133MHz SDRAM DIMM. Nanya 128MB NT 128S64V88C0G-7K. 128MB SDR-133MHz-CL2. NEC MC-4R128CEE6C-653 Rambus Ram. 128MB. Refurbished. NEC MC-4R128CPE6C-845 128MB. Direct Rambus DRAM RIMM. NEC MC-4R256CPE6C-653 600-53. 256MB/16d nonECC. Rambus. NetApp SP-3170A 512MB Server Memory. 3170A Style. Qimonda HYS64T128020EU-2.5-B2 1GB 2Rx8 PC2-6400. Samsung KMM372V1680CS3-6S 128MB SDRAM 133MHz DIMM Samsung M368L3223FTN-CB3 256MB 184p PC2700 DDR DIMM Samsung M378T5663QZ3-CF7 2GB 2Rx8 PC2-6400-666. Samsung MR16R082GBN1-CG6 256MB Memory. 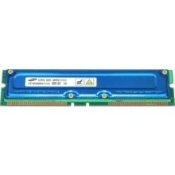 Samsung MR18R0828AN1-CG6 Rambus 128MB 8ECC 600-53 100. Samsung MR18R0828BN1-CK8 RDRAM 128MB / 8, 800-45 ECC. Samsung MR18R082GAN1-CG6 600-53, IBM 33L3098 256MB 600MHZ. Samsung MR18R1624AF0-CK8 RDRAM 128MB 800-45 ECC. Samsung MR18R1628AF0-CK8 RDRAM 256MB / 8, 800-45 ECC. Samsung MR18R1628DF0-CK8 Dell: 07D092. 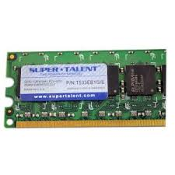 RDRAM 256MB/8 PC800 Super-Talent T533EB1G/E DDR 1GB 533Mhz PC2-4200. Thermaltake A1092 Memory Cooling Kit. New.